It was puppy love in that we both loved your puppy more than each other. Missed chances. Young crushes. Old regrets. Who hasn't felt the "What if?" or the "Why not?" of a former flame? Andy Selsberg understands the pull of old love. He's compiled a collection of messages people have written to former flames and objects of affection — all anonymously. Dear Old Love lets us ruminate in the touching, funny, spiteful and sometimes sad sloppiness of the "ones that got away." 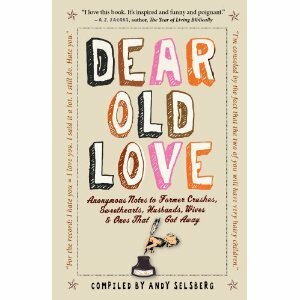 Much like Six Word Memoirs and PostSecret, Dear Old Love is a crazy, desperate blend of heartbreak and hilarity.